You are probably one of many Nigerians who normally take canned drinks straight from the can without using a straw or glass tumbler. You may need to drop this practice after today. In January this year, somebody put out a public service information on a Whatsapp forum, to alert people about the death of two brothers, who were said to have died at a reputable teaching hospital in the South West. The test results showed that they were infected with leptospirosis, and subsequently died from the complications caused by the disease. It was also apparent that the two deceased brothers were not given appropriate medical attention from the onset of the illness – another clear example of the tendency of Nigerians to engage in self-medication even in the face of worsening ill-health. Leptospirosis is an infectious disease of humans and animals that is caused by pathogenic spirochetes of the genus Leptospira. Leptospirosis is distributed worldwide, but not found in the polar regions of the globe. It is most common in the tropics. The organism infects a wide range of animals, including mammals, birds, amphibians, and reptiles and is transmitted to humans through exposure of mucous membranes or cuts in the skins to the body fluid of an acutely infected animal or by exposure to soil or fresh water which is contaminated with the urine of an animal that is a chronic carrier. It is also known that occupational exposure probably accounts for 30-50 per cent of human cases of leptospirosis. The main occupational groups at risk include farm workers, veterinarians, pet shop owners, field agricultural workers, abattoir workers, plumbers, meat handlers and slaughterhouse workers, coal miners, workers in the fishing industry, military troops, milkers, and sewer workers. Although leptospirosis continues to be predominantly an occupational disease, in recent decades, it has also increasingly been recognized as a disease of recreation. The disease may be acquired during “adventure” travel or sporting events that involve fresh water or hiking (eg, “mud runs”). The exotic-pet trade further increases the likelihood of transmission. Widespread flooding may lead to epidemic spread of leptospirosis in large populations. Flooding on a smaller scale may also lead to individuals contracting the disease. 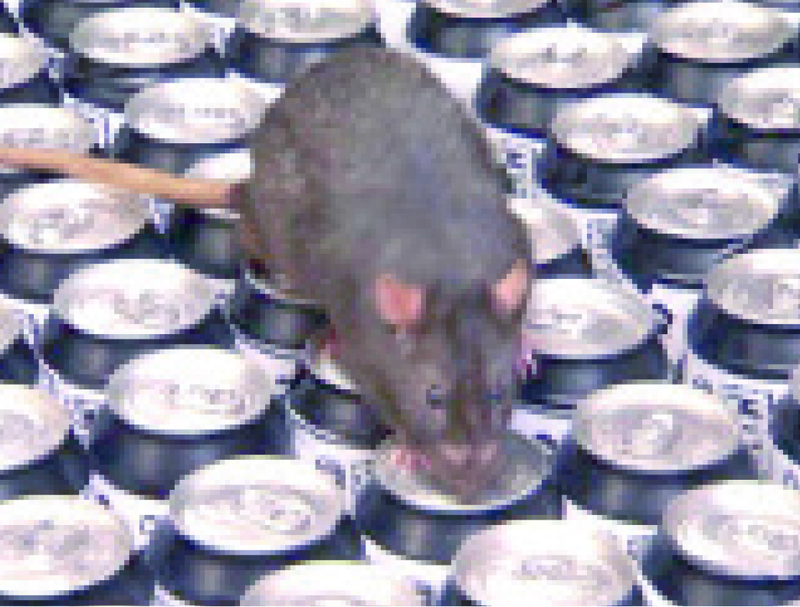 Urban dwellers in economically deprived areas may contract the disease through exposure to rat urine. In the case of the two brothers who died from the infection, they drank straight from the cans, on which rats were thought to have urinated on and the urine deposited on the can had dried while the cans were in storage before being sold to, unwittingly, to the unfortunate brothers. In most cases, about 90 per cent, when a person has been infected with leptospirosis, the organism incubates for a period of time. After gaining entry into the body, organisms quickly spread through the bloodstream to all organs, but particularly the liver and kidney. The incubation period is usually 5-14 days but has been described from 72 hours to a month or more depending on the immunologis status of the person. Then the infected person develops a fever and may also show other symptoms ranging from headache, nausea and vomiting, which may often be confused with viral illness. In 10 per cent of cases, the presentation is more dramatic, and the infection has an overall case fatality rate of 5 to 10 per cent. Known as Weil disease or icteric leptospirosis, leads to jaundice, renal failure, and hemorrhage. Other organ systems such as the lungs, heart, blood vessels, central nervous system are also frequently affected as the disease progresses and begins to destroy these vital organs. In the kidneys, the leptospires (units of the organism) migrate to the renal tubules and tubular lumen, and cause inflammation of the nephrons (nephritis) and tubular necrosis (death of the cells of the tissue that makes up the tubules). As the capillary vasculitis progresses, normal renal function is affected by substantial decrease in the glomerular filtration rate could lead to rapid renal failure that would require dialysis. Renal failure is usually due to tubular damage, but hypovolemia from dehydration and from altered capillary permeability can also contribute to renal failure. In the same manner, centrilobular necrosis in the liver further worsens the health status of the infected person as jaundice may occur as a result of hepatocellular dysfunction. Bleeding in the lungs resulting from burst capillaries (medically described as pulmonary alveolar hemorrhage) is the major ultimate cause of death. Treatment of leptospirosis should be started as soon as possible. Treatment is begun empirically in patients with a plausible exposure history and compatible symptoms, as culture times for Leptospira are long and recovery rates are low. The criterion standard for serologic identification of leptospires, microscopic agglutination testing (MAT), is available only at reference laboratories. Paired acute and convalescent serum specimens can provide delayed confirmation of the diagnosis. As in all cases of ill-health it is strongly advised that people head to the hospital to see a doctor in any situation where a fever has not responded to paracetamol for more than 24 hours. Do not engage in self-medication. It is dangerous as a mis-diagnosed illness could be life threatening. Some cases of leptospirosis infection could be uncomplicated and not require hospitalization, but it is only a doctor that can determine this after proper diagnosis (which may involve laboratory investigation). In such a case, the doctor would prescribe the right medication to be taken by the person. In hospitalized patients, the doctor would also prescribe and administer the right drugs, as would be expected. Patients with severe leptospirosis (Weil disease) require supportive therapy and careful management of renal, hepatic, hematologic, and central nervous system complications. When you have to attend events where you may be served canned drinks, please take with a generous amount of clean white tissue paper. When the drink is served, soak the tissue paper in water and use it to clean the top of the can thoroughly and the sides of the can close to the point where it is opened and drank from. Please do this two or three times, each using fresh tissue soaked in water, before opening the can. Even if you have cleaned the can, you could also make assurance doubly sure by using a straw to sip the drink or pour it into clean glass tumbler. Taking these steps would prevent direct oral contact with the can.